Be the brightest star in the universe. 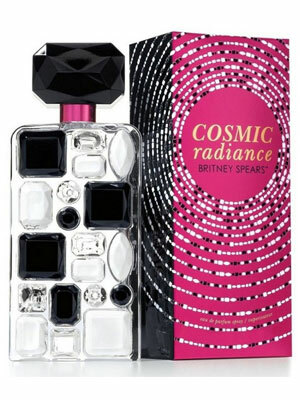 Britney Spears has launched Cosmic Radiance perfume, a fruity floral version of her original 2010 Radiance fragrance. This fragrance for women includes notes of citrus and white florals. Launched in the Fall of 2011 this bright scent is available in a 1 oz, 1.7 oz, and 3.3 oz eau de parfum spray. "It's all about the first impression with this one." 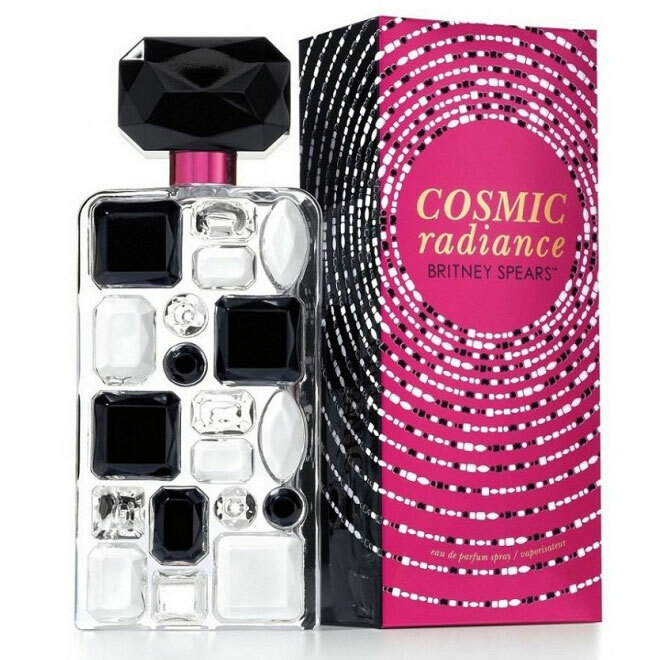 --Clyde W.
Cosmic Radiance is infused with a splash of succulent citrus and luscious fruits that surround a bouquet of dazzling white flowers. Sultry notes of amber, sandalwood, and liquid vanilla emerge from the back for a curvaceously feminine impression. Breathtaking: Bright and sparkling, the fragrance opens with a splash of mandarin, wrapped in fruity notes of tender lychee and dewy pear. Dazzling: An effusive heart of luminous night blooming jasmine, radiant golden gardenia, captivating tuberose flower and feminine peony captures the universal power of beautiful woman around the galaxy. Powerful Femininity: A boldly confident sensual glow emerges from captivate musks, creamy amber, sultry sandalwood, and a seductive liquid vanilla.